(CNN) - New Jersey Gov. 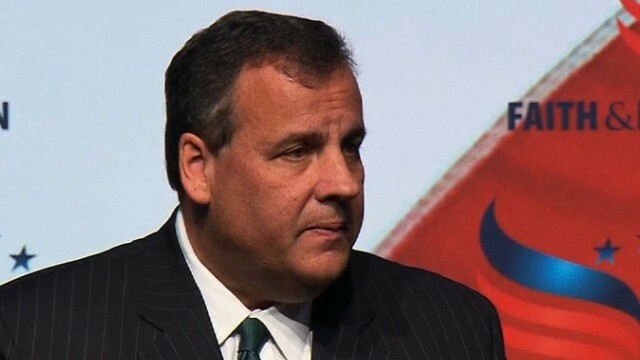 Chris Christie will travel to Mexico next month to meet with the country's new president, his office announced Thursday. The trip will focus on building economic relationships and is set to weave in cultural experiences, as well. As the GOP works to bring in more minority voters–amid a tense debate over illegal immigration–Christie's trip may be an effort to showcase his pull among Latinos. He won 51% of the Latino vote in his re-election last year. And he isn't the only potential 2016 presidential contender heading to Latin America. Sen. Rand Paul will spend time in Guatemala later this month to perform pro-bono eye surgeries. The Kentucky Republican said this week in Iowa that he may also meet with officials to discuss the crisis involving migrant youth from Central America who have streamed across the southern border this year and strained immigration services. The trip was first reported by The New York Times. You just can't make this crap up. A cricketing Teabagger says Obama is "fundamentally transforming the country into a mexican/third word back water nation." Last I looked, the "disaster in charge" Shrub had our American economy, foreign policy and culture all looking like a backwater 3rd-world nation. Obama has gone a long way towards correcting that [R] FAILURE. And so we have a disoriented Teatard, who voted for the abject [R] FAILURE of Shrub twice, now blaming Obama for Shrub's mistakes. Classic play, right from the rightwing playbook. Rudy NYC – " You've lost sight of the original argument, Tommy. So has Bill. The argument was made that raising the minimum wage would cause everyone's salary to go up, which, in turn, would cause high inflation. That's complete nonsense. " No, Rudy. You choose to ignore the fact that when wages at the bottom go up, they go up proportionately for all. You said as much with your own statement: " a rising tide raises all boats could never be more true ". In other words, the business owner's income also increases and he doesn't go out of business. Thanks for playing. "don't you ever tire of trying to spin and lie? no, you don't." Coming from someone who just spewed that "obama hasn't been able to do squat except ship thousands of illegal weapons to mexico and get thousands of mexicans killed as a result," that sounds really funny. Survey says: YAWN. "And he isn't the only potential 2016 presidential contender heading to Latin America. Sen. Rand Paul will spend time in Guatemala later this month to perform pro-bono eye surgeries." THESE are two of the folks ready and oh so wanting to be our next President of the United States? What very, very low levels of respect we the actual people who live in this great country are given by these presidential hopefuls that they've so convinced themselves that we can't see beyond their, well ... "hype". Their punditry is astonishingly immature for presidential wannabees of this great nation of ours to continue to float themselves as viable and earnest leadership material under these conditions. Christie doesn't stand a chance due to the right wing of his party. He will really have to go crazy to be in the running with cruze, paul, palin and the rest of the clowns. The right wing does not like him and don't want him for their nominee. They call him rino. How will he insult the Mexican? He has managed to speak poorly of many people. It might not happen in Mexico because they aren't going run against him in an election or even talk to him. Sniffit "He won 51%of the Latino vote in his re-election last year." Which, in light of and in comparison to the margins by which he won the election and other groups, is remarkably POOR relative performance with the Hispanic community. But still 2% more than his opponent Barbara Buono who had a 22 point loss. "And, of course, here we go with the idiocy about a trip to Mexico for some meet-and-greet glad-handing with its president and take in some sights somehow translating into "foreign relations experience." He he. They've not only lost the pandering argument, they are now on overdrive in killing their own soapbox messaging. To be truthful, I am embarrassed for Chris Christie (and Rand Paul). Yeah, I know. They don't give two hoots what I think. "He won 51% of the Latino vote in his re-election last year." only in the warped leftist mind is winning a majority of the hispanic vote "poor relative performance"!! can't you be honest at least once in your life and give credit where credit is due? don't you ever tire of trying to spin and lie? no, you don't. Do you know the meaning of the word relative? I'll enlighten you. Christie won most demographic groups, including Hispanics. However, if you rank the demographic groups he won by percentage of the group voting for him, Hispanic is near the bottom of the pile. He killed with Whites, Catholics, Republicans (duh! ), income earners over $100K, etc. etc. But RELATIVE to these groups Christie did RELATIVELY poor.